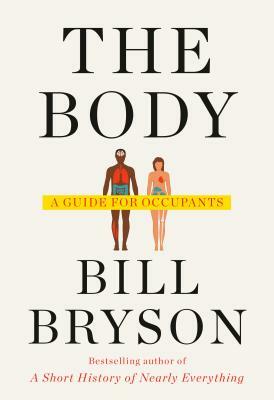 Bill Bryson once again proves himself to be an incomparable companion as he guides us through the human body--how it functions, its remarkable ability to heal itself, and (unfortunately) the ways it can fail. Full of extraordinary facts (your body made a million red blood cells since you started reading this) and irresistible Bryson-esque anecdotes, The Body will lead you to a deeper understanding of the miracle that is life in general and you in particular. As Bill Bryson writes, "We pass our existence within this wobble of flesh and yet take it almost entirely for granted." The Body will cure that indifference with generous doses of wondrous, compulsively readable facts and information. BILL BRYSON's bestselling books include A Walk in the Woods, Notes from a Small Island, I'm a Stranger Here Myself, In a Sunburned Country, A Short History of Nearly Everything (which earned him the 2004 Aventis Prize), The Life and Times of the Thunderbolt Kid, At Home, and One Summer. He lives in England with his wife.